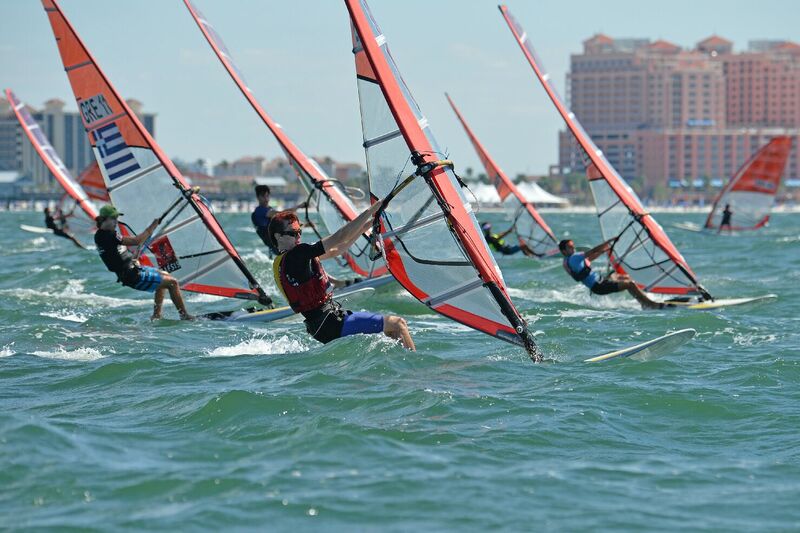 With standings so tight at the beginning of the day, all eyes were on the medal races today at the 2014 RS:X Youth World Championships in Clearwater, Florida! 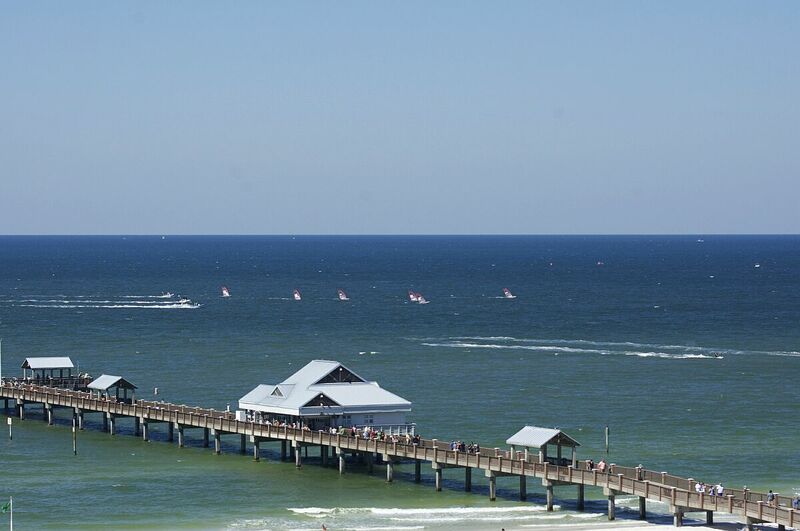 Saturday on Clearwater Beach is always a busy day, and the combination of bright sunshine, strong breeze and world-class windsurfing action brought upwards of 20,000 people to the beach for the conclusion of the event. 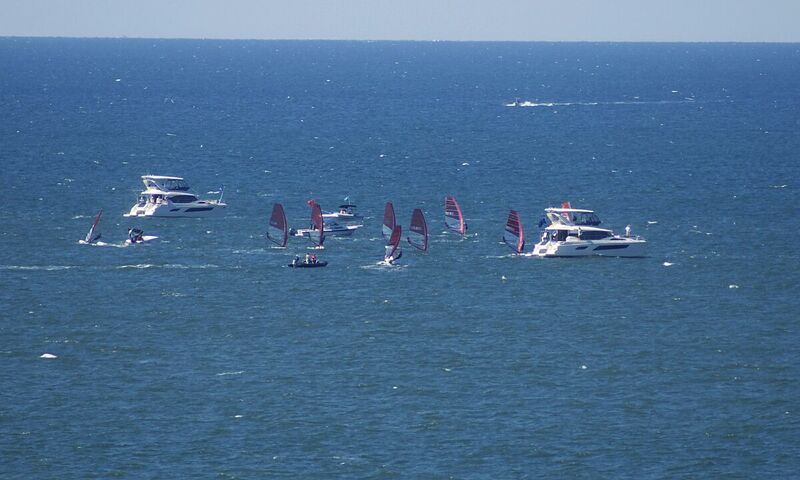 While the medal racers stayed behind to get their equipment inspected and deal with the pressure of the situation, a solid 14 kt breeze kicked up from the North and the rest of the fleet launched to get one last race in. Sil Hoekstra (NED) weaved his way through the fleet on port tack, headed straight to the beach in the 3 ft chop that many competitors have found so confounding all week, hit the layline perfectly and took the men’s race in style. 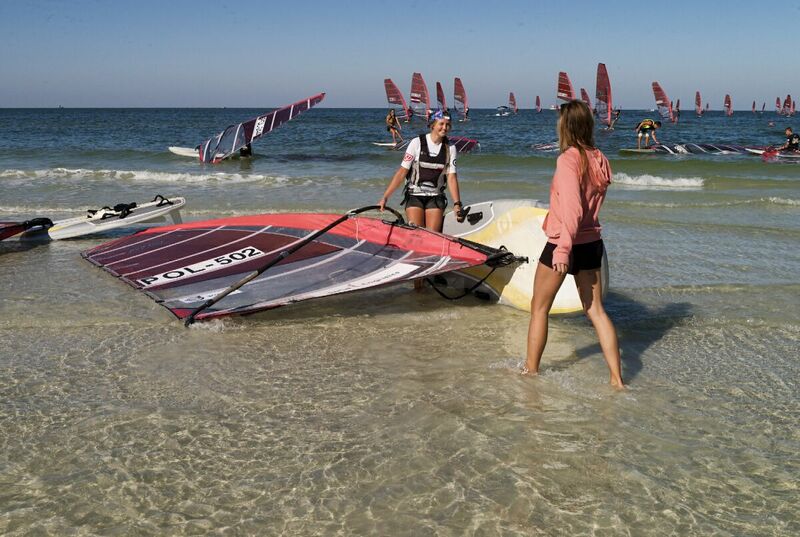 In the women’s last race, Maelle Guilbaud (FRA) did the same thing and headed straight for the beach, as did Shahar Tibi (ISR). They rounded the first weather mark in the lead but were caught in the second lap by Patrycja Lis (POL), who showed why she’s always a force to be reckoned with in the heavier breeze. Once all competitors were back ashore after the morning race, the international jury and class measurer hopped on chase boats to get ready to officiate on the water, the race committee switched the course from a trapezoid to a windward leeward course with a slalom finish, and the top ten men and women launched one last time this week from the Baystar Race Village on the beach. The women started first, with four of them having a clear shot at the title, and it was Emma Wilson who showed poise beyond her years. After a good start she was the only one to hit the starboard layline, went full throttle and was gone. “When I got to the top mark,” she said, “I looked back and everyone was gone. I thought I had done something wrong! I don’t even know how I did it, I’m so happy!” Imogen Sills finished 2nd, making it an impressive 1-2 for the British squad in the race. Berenice Mege from France finished three spots ahead of reigning World Champion Marta Maggetti to take the silver medal, with Maggetti hanging on to third place to make it onto the podium for the second year in a row. The most disappointed of the group was Ma Kwan Ching, who was in control of the event early on in the week, and lost out on the podium with her performance in the medal race. But there’s plenty of positives for the young woman from Hong Kong to take away from this week. We’re going to see her name in the limelight many more times in the future. With the women back ashore and celebrating, the men took to the race course, and the battle was on from the start between Mattia Camboni (ITA) and Radoslaw Furmanski (POL). The title was to be decided between those two, and with no one else within striking distance on the leaderboard, we could have excused them if they had let the others escape and focused their attention on match racing each other. But that was clearly not their intention, and the battle today took place at the front. The deciding moment in the race appears to have been at the bottom mark. “I was leading but didn’t see the mark with the sun in my face, so I gybed too late,” said Camboni. “Radoslaw gybed inside and stayed in control from that point on. I’m a little disappointed because I’m losing by 1 point in the end, but Radoslaw raced very well and deserves the win. “I’m very happy,” said Furmanski directly after the race, “because this year I also won the European Championships, and now I’m a World Champion! 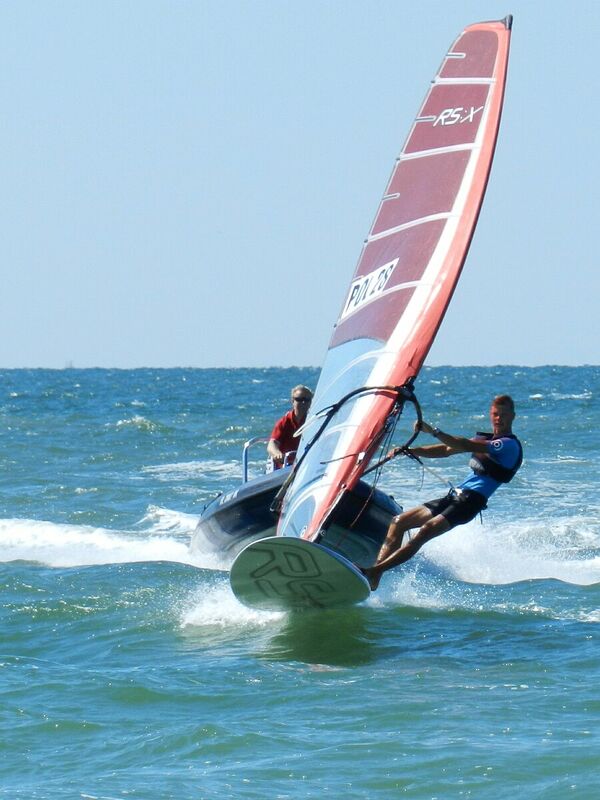 Toni Bonet (ESP) had a solid medal race after a consistent week of racing in Clearwater and rounds up the men’s podium. 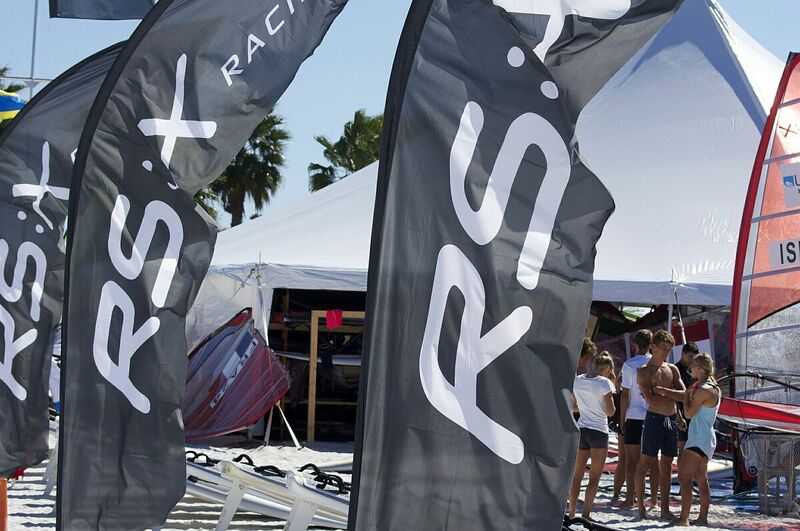 With pictures, videos and news reports going out on the wires every day this week, the media reach of the 2014 RS:X Youth Worlds in Clearwater has been truly global and continues to build. 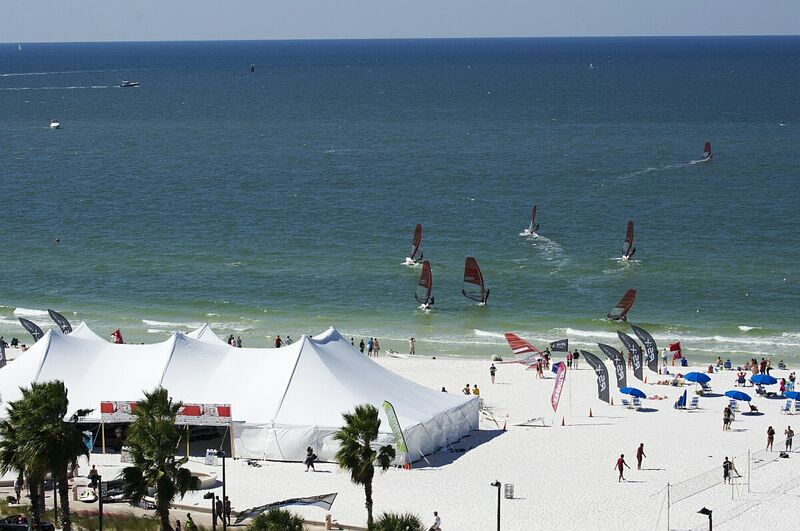 But equally important was the local success of the event: with the Baystar Race Village set directly on the beach, and glowing local TV and press reports building up interest throughout the week, city officials estimate that the event this week took place in front of an audience of upwards of 80,000 people. Every day this week, the launch corridor on the beach was lined with spectators cheering on the athletes. The impact on the region was clearly visible and will be long-lasting. 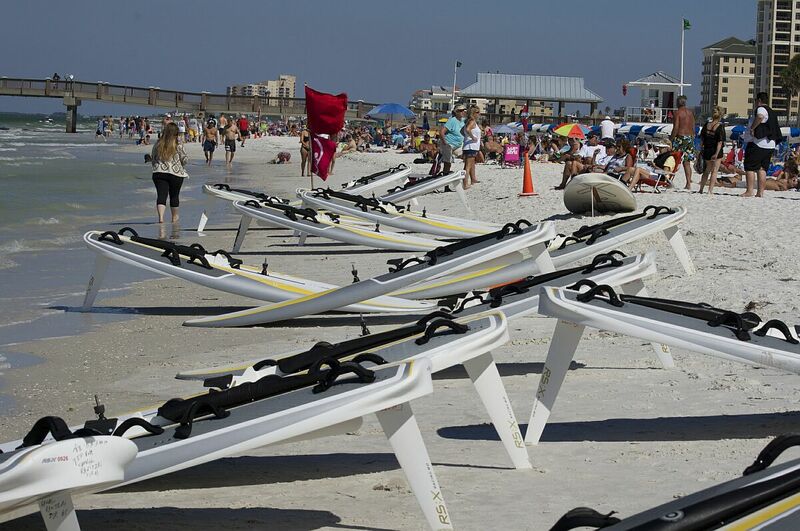 This event owes big to the City of Clearwater. The organizers, Tampa Bay Charities and US Windsurfing, want to extend a big thank you to Mayor George Cretekos for opening all the doors and being such a good sport at the opening and closing ceremonies; to the dedicated staff and volunteers at the Clearwater Community Sailing Center, the Clearwater Yacht Club and the Dunedin Boat Club; to the Neil Pryde Group and the International RS:X Class for believing in Clearwater’s ability to organize these championships at a moment’s notice; and of course to all the enthusiastic sponsors and supporters without whom an event of this magnitude would simply not take place. How do we go about getting some hi res images of the photos? Are there any podium photos? 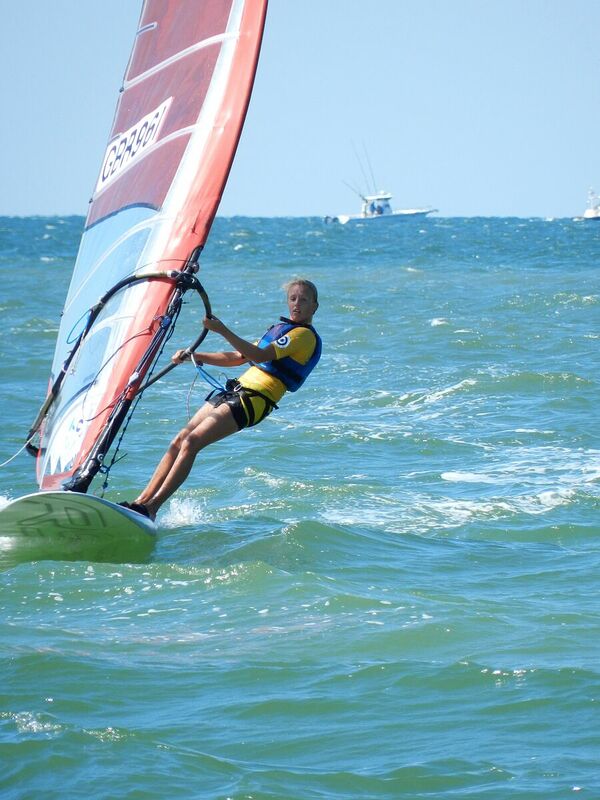 Next story My Ode to Kona Windsurfing! 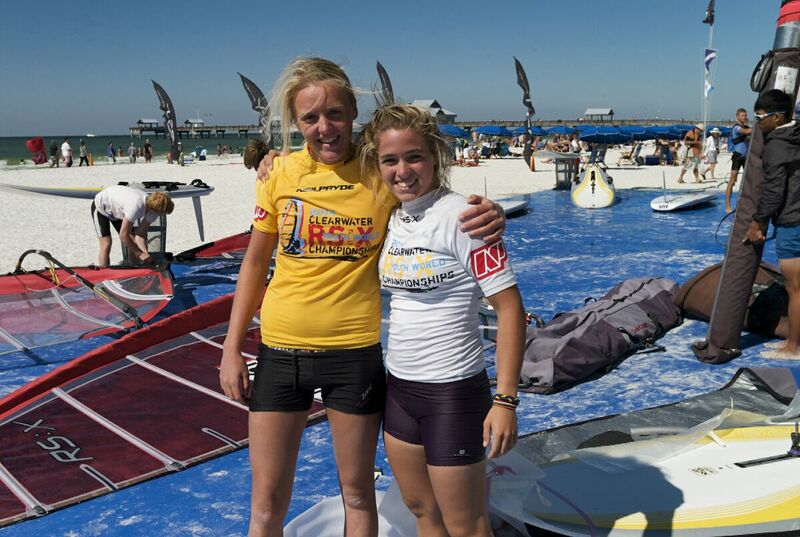 Previous story 2014 RS:X Youth Worlds in Clearwater: All To Play For!